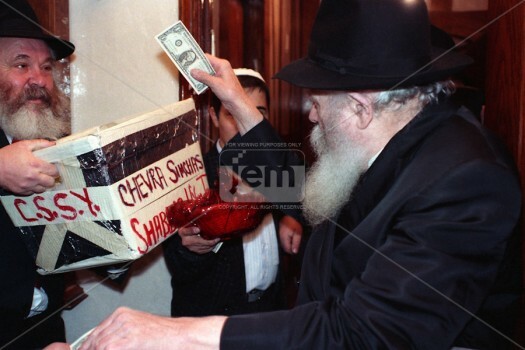 On Rosh Hashana 5738 (1977) at a farbrengen, the Rebbe spoke about the mitzvah of Ma’os Chittim, pointing out that the needs of the poor during Tishrei are even greater than during Nissan. 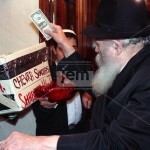 He suggested that a fund be established supplying Shabbos and Yom Tov necessities to the needy. Hours later, CSSY – The Organization to Bring Joy on Shabbos and Yom Tov – was born. Already that Shabbos –Shabbos Shuva – dozens of food packages were distributed to families throughout Crown Heights. The rest is history. For 38 years, CSSY has been busy feeding every hungry mouth and handling every kind of crisis in the community, from the mundane to the unthinkable. “You won’t see pictures online showing what we do. All our work is confidential so that we won’t embarrass anyone. No question about it: your relative, friend, or neighbor is getting help from us and you have no idea. That’s how we like it to be. But that makes it hard to raise the kind of funds we need to keep Crown Heights’ neediest afloat,” Rabbi Benjy Stock, son of CSSY’s founder Rabbi Shimshon Stock, OBM, wrote in an open letter to the community. “During an average week our budget is $10,000. During Tishrei, the amount skyrockets. Over 230 families have requested money for food and basic necessities for Yom Tov. we can’t tell them no,” he wrote. To contribute to CSSY, please visit www.cssy.org, or mail your donation to CSSY: 593 Montgomery St. Brooklyn, NY 11225.